The Division of Pensions and Benefits presents employer training for Certifying Officers and other personnel responsible for the administration of pension and benefits at employing locations. All training is designed to include recent changes to administrative rules and State and federal laws. For inclement weather cancellations, call (609) 292-6649. Please select the employer training topic you would like to learn about. This employer training session is an employer’s guide to pension resources and is designed to assist anyone working in a payroll or benefit administration position. The webinar covers access to the online Employer Pensions and Benefits Administrative Manual (EPBAM), archived Certifying Officer letters, guidebooks, fact sheets, retirement resources, online user’s guides, and other important links available on our website. The webinar is approximately 20-25 minutes in duration and includes a Q&A period. hursday, May 2, 2019 9:00 A.M. Enrollments Overview, Benefits Overview, and Online Systems: This employer training session covers enrollment rules and procedures for PERS, TPAF, and DCRP and presents a brief overview of the benefits of each of the plans. We introduce the Employer Pensions and Benefits Information Connection (EPIC) where employers can access employees' pension account information for processing and inquiry. We also introduce the Member Benefits Online System (MBOS), which allows employees and retirees to access their own accounts. RECOMMENDED ADDITIONAL TRAINING: Pension Processing - Part 2; and Internet Report of Contributions (IROC). Please keep in mind that these are NOT a substitute for the enrollment training required by P.L. 2011 c, 52 (Chapter 52). The webinar is 1 ½ - 2 hours in duration. The classroom session is 3 ½ hours in duration and approved by the Department of Community Affairs for: QPA - 4 CEUs in Office Admin./General Duties. Both sessions include a Q&A period. Tuesday, May 7, 2019 10:00 A.M. Enrollments Overview, Benefits Overview, and Online Systems: This employer training session covers enrollment rules and procedures for PERS, PFRS, and DCRP and presents a brief overview of the benefits of each of the plans. We introduce the Employer Pensions and Benefits Information Connection (EPIC) where employers can access employees' pension account information for processing and inquiry. We also introduce the Member Benefits Online System (MBOS), which allows employees and retirees to access their own accounts. RECOMMENDED ADDITIONAL TRAINING: Pension Processing - Part 2; and Internet Report of Contributions (IROC). Please keep in mind that these are NOT a substitute for the enrollment training required by P.L. 2011 c, 52 (Chapter 52). The webinar is 1 ½ - 2 hours in duration. The classroom session is 3 ½ hours in duration and approved by the Department of Community Affairs for: CMFO/CCFO - 4 CEUs in Financial and Debt Management; CPWM - 4 CEUs in Management; RMC - 4 CEUs in Professional Development. Both sessions include a Q&A period. Wednesday, May 8, 2019 10:00 A.M.
Enrollment Overview, Benefits Overview, and Online Systems: This employer training session covers enrollment rules and procedures for PERS, TPAF, PFRS, and DCRP and presents a brief overview of the benefits of each of the plans. We introduce the Employer Pensions and Benefits Information Connection (EPIC) where employers can access employees' pension account information for processing and inquiry. We also introduce the Member Benefits Online System (MBOS), which allows employees and retirees to access their own accounts. RECOMMENDED ADDITIONAL TRAINING: Pension Processing - Part 2. Please keep in mind that these are NOT a substitute for the enrollment training required by P.L. 2011 c, 52 (Chapter 52). The webinar is 1 ½ - 2 hours in duration. The classroom session is approximately 3 ½ hours in duration. Both sessions include a Q&A period. Wednesday, May 1, 2019 10:00 A.M. Employer Responsibilities, Pension Processing/Employer Pension Information Connection (EPIC): PREREQUISITE: Pension Processing State Employers - Part 1. This employer training session provides training on the employer's responsibility in the pension and benefit process including purchase of service credit, loans, retirement, health benefits, withdrawals, death claims. and how to use the Employer Pensions and Benefits Information Connection (EPIC) for these tasks. Please keep in mind that these are NOT a substitute for the enrollment training required by P.L. 2011 c, 52 (Chapter 52). The webinar is approximately 2 hours in duration. The classroom session is 3 ½ hours in duration and approved by the Department of Community Affairs for: CMFO/CCFO - 4 CEUs in Financial and Debt Management; CPWM - 4 CEUs in Management; RMC - 4 CEUs in Professional Development; QPA - 4 CEUs in Office Admin./General Duties. Both sessions include a Q&A period. Tuesday, May 14, 2019 10:00 A.M. This employer training session covers the enrollment rules for the Defined Contribution Retirement Program (DCRP) in detail. We will discuss permanent, temporary, and on-call enrollment rules and show you how to enroll employees using the Employer Pensions and Benefits Information Connection (EPIC). Representatives from the Division and Prudential will explain DCRP benefits and the reporting process. Please keep in mind that these are NOT a substitute for the enrollment training required by Chapter 52. The webinar is approximately 1 ½ hours in duration and includes a Q&A period. Tuesday, April 30, 2019 10:00 A.M.
Thursday, May 16, 2019 10:00 A.M.
Friday, May 17, 2019 10:00 A.M.
Thursday, May 9, 2019 10:00 A.M. This employer training session covers the four Security applications within the Employer Pensions and Benefits Information Connection (EPIC): the Address Change, Add New User, Apps to Multi Users, and Search/Modify User applications. We will review each Security application, including what the applications do and how to navigate them. Please note that only Certifying Officers (CO) and Supervising Certifying Officers (SCO) have access to the Security features — although the webinar is open to anyone. The webinar is approximately 15-20 minutes in duration and includes a Q&A period. Wednesday, May 8, 2019 9:00 A.M. This training session covers the process of updating the Certifying Officer and/or the Supervising Certifying Officer. This includes making security changes via the Employer Pensions and Benefits Information Connection (EPIC), setting up the initial Chapter 52 Enrollment Training, the Annual Membership Certification requirement, and a general timeline for the process. The webinar is approximately 30 minutes in duration and includes a Q&A period. PLEASE NOTE: This webinar is NOT a substitute for the enrollment training required under Chapter 52, P.L. 2011. Thursday, May 16, 2019 9:00 A.M. This employer training session covers the employer’s role when a member has filed for retirement. Topics include how to complete a Certification of Service and Final Salary for Service, Early, Veteran, Ordinary Disability, and Accidental Disability retirements. We review each certification question line by line and discuss additional documentation that may be needed by the Division once the certification is submitted. The webinar is approximately 30 minutes in duration and includes a Q&A period. Thursday, May 2, 2019 10:00 A.M. This employer session covers retirement basics for PERS, TPAF, and PFRS members. Topics include retirement types, pension options, and retired group life insurance. We will review a sample retirement application and you will learn how to run a retirement estimate for a member and check the status of a pending application. Corresponding fact sheets and other resources will be covered as well. The webinar is approximately 45-50 minutes in duration and includes a Q&A session. The material covered in this presentation is NOT a requirement for any employer; it is presented for employers who choose to assist their employees with retirement planning. This employer training is designed for anyone in payroll or benefit administration who is responsible for completing the quarterly pension Internet Report of Contributions, or IROC. Whether you are brand new or a seasoned administrator, we are sure that you will benefit from this training. The webinar is approximately 2 hours in duration. The classroom session is 3 1/2 hours in duration and approved by the Department of Community Affairs for CMFO/CCFO - 4 CEUs in Financial and Debt Management; CPWM - 4 CEUs in Management; RMC - 4 CEUs in Professional Development; QPA - 4 CEUs in Office Admin./General Duties. Both sessions include a Q&A period. Wednesday, May 15, 2019 10:00 A.M.
Thursday, June 20, 2019 10:00 A.M. This employer training session is designed as a review for those who have completed the more comprehensive IROC training or who have experience completing the IROC but need to refresh their IROC knowledge. Topics include adding and deleting members from the IROC and particulars to be mindful of when making such changes. We examine the IROC reconciliation page and how to use it to complete your IROC submission. Also included is an overview of the Transmittal Electronic Payment System (TEPS), how to make changes in TEPS, and how to find help regarding TEPS payment issues. The webinar is approximately 15 to 20 minutes in duration and includes a Q&A period. Thursday, May 9, 2019 9:00 A.M.
COBRA: When, Why, & How? This employer training session is designed for anyone in benefit administration or responsible for maintaining their location’s health benefits under the State Health Benefits Program (SHBP) or School Employees’ Health Benefits Program (SEHBP). The webinar focuses on guidelines to follow when a COBRA offering is due for an employee or their eligible dependent. The training defines COBRA and outlines the qualifying events for eligibility. We review the mandated timeframes, payment processing, and required mailing procedures under the federal guidelines. The webinar is approximately 15-20 minutes in duration and includes a Q&A period. 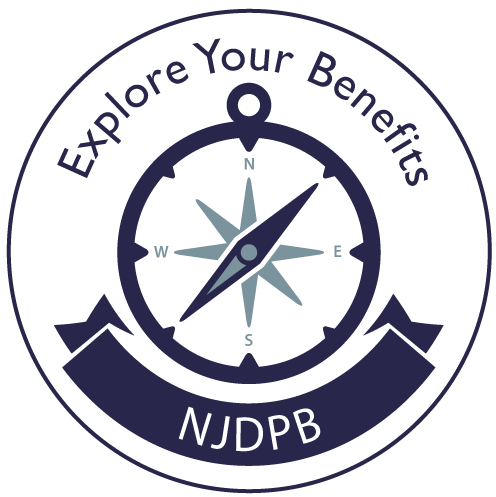 Thursday, May 9, 2019 11:00 A.M.
Navigating Pensions employer training sessions are designed for employers who have a working knowledge of the pension system basics but want to learn more about specific administrative duties. Attendees should have already completed the Pensions Processing Part 1 and Pensions Processing Part 2 training. In this session we focus on Retirements, Purchase of Service Credit, Retro Reporting, and the Defined Contributions Retirement Program (DCRP). We cover employer responsibilities when a member files for retirement and explore ways you can assist your employees who are interested in retirement — including running an estimate through EPIC and tracking the status of a member’s application. We examine the purchase process including eligibility, cost, verification, and payment options. We will explain the reporting of pension contributions and salary after a retroactive contract is settled. We will also discuss eligibility and the enrollment of employees in the DCRP. This interactive classroom session is three hours in duration and approved by the Department of Community Affairs for: CMFO/CCFO - 3.5 CEUs in Financial and Debt Management; CPWM - 3.5 CEUs in Management; RMC - 3.5 CEUs in Professional Development; QPA - 3.5 CEUs in Office Administration/General Duties.